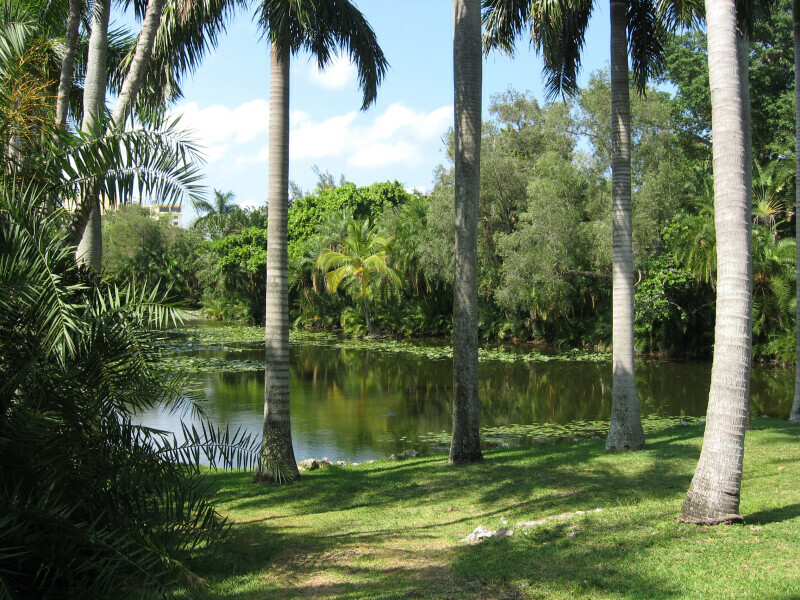 These freshwater lagoons were originally part of a long, narrow strip of marshland that extended from Bonnet House north to Oakland Park Boulevard. This marshland with slow-moving waters, was named Bonnet Slough after the Bonnet Lily which grew throughout this area. The Bonnet Lily or Yellow Pond Lily (Nuphar luteum) growing in the south lagoon is a native aquatic plant easily identified by its heart-shaped leaves and yellow flower. Frederic Bartlett dredged this area of Bonnet Slough and created the present day lagoons which are a part of a sensitive and rare Coastal Dune Lake System that can also be found in Hugh Taylor Birch State Recreation Area.